Last week the Heating and Hotwater Industry Council revealed that new boiler sales are at their lowest for 10 years. In light of that revelation, the heating industry has reacted, advising installers to up-sell additional products. With market conditions becoming increasing tougher installers should look to selling ancillary products to their customers, says Alpha Heating Innovation. Heating installers need to be proactive and that means making the most of every opportunity, which includes encouraging customers to buy a more expensive product, invest in an upgrade or purchase an additional related item at a discounted price. “The recent announcement by the Heating and Hot Water Industry Council, confirmed what we as manufacturers already knew – trading conditions are tough and there is no projected upward swing on the horizon. Mr Binney says the key to surviving in a tough economic climate is to maximise selling opportunities by upselling ancillary products. 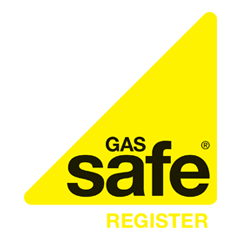 To try and combat new boiler sales hitting a ten year low now more than ever installers really need to concentrate on selling those additional products which can have a considerable and significant effect on home heating bills and household carbon emissions.